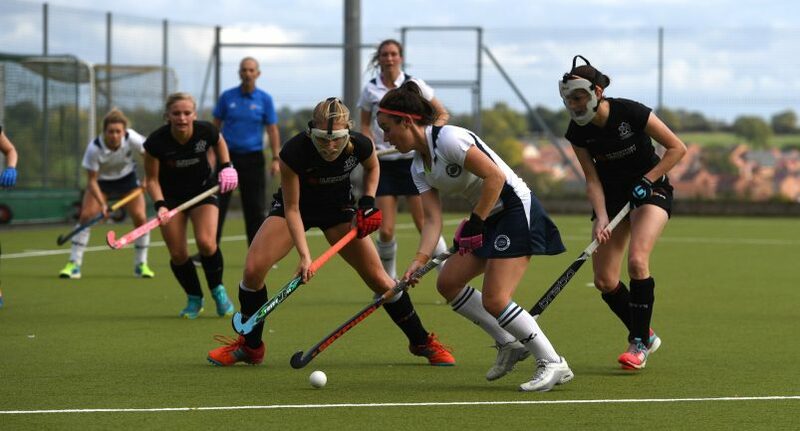 After moving up into third spot in the Investec Women’s Hockey League Premier Division following a good away win last weekend, East Grinstead are preparing to face the team they replaced in the play-off spots this Sunday. Holcombe dropped from third to fifth following a 2-1 loss at Jaffa Super 6s indoor winners Bowdon Hightown last weekend and will be keen to get back to winning ways and reclaim their place along the top four teams. But East Grinstead – who had to settle for a goalless draw with Holcombe when the sides met back in September – could move up to second on Saturday. “It’s very tight at the top,” said East Grinstead 1st XI manager Tony Crisp. “Apart from Surbiton at the top, the next few are all separated by just a few points so it’s going to be another close finish. “Holcombe will be a tough match as they all are at this level, but we had a good win last weekend at Slough and our three new signings are settling in well,” said Crisp, referring to former GB and England international Chloe Palmer, as well as Kate Kernaghan and Jenny Storey from New Zealand. Elsewhere in the top flight the University of Birmingham go to Bowdon Hightown as they bid to hold on to second place, while leaders Surbiton welcome bottom of the table Canterbury to Sugden Road. Currently fourth, Buckingham will want to bounce back from last weekend’s bruising 4-0 loss at the University of Birmingham with a win at home against Leicester, while Clifton Robinsons and Slough – who have just three wins each so far – face each other. In the Investec Women’s Conference East leaders Hampstead & Westminster play Cambridge City, while second-placed Sevenoaks face a tough match against third-placed Wimbledon. Beeston go to Ben Rhydding as they bid to maintain top spot in the Investec Women’s Conference North, while second-placed Brooklands Poynton are at home against Timperley. And in the Investec Women’s Conference West leaders Trojans go to Oxford Hawks, who they beat 6-0 in the opening game of the season back in September. The lead photo shows East Grinstead and GB ace Laura Unsworth in action. Report courtesy of England Hockey by Snowdon Sports.